He also improved his mastery at the master classes of famous professors Iliya Musin in Saint-Petersburg and Arnold Katz in Novosibirsk. At present, Roman Moiseyev cooperates with the best Russian symphonic and opera collectives. His creative work has been highly appraised in Belorussia, Hungary, India, Kazakhstan, Mongolia, and the Ukraine. Maestro Moiseyev draws in young talented musicians to participate in his performances from as far as Japan, Korea, Israel, India and other countries. He also conducts workshops for beginning conductors. 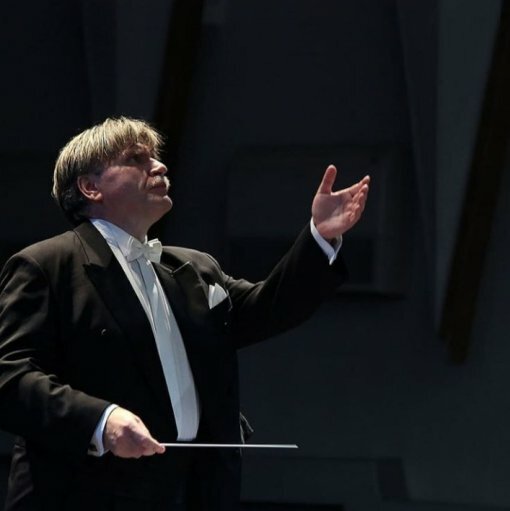 A considerable repertoire of Roman Moiseyev embraces symphonic and cantata-oratory compositions, including works by Russian and Western composers. In addition, his repertory includes more than 20 opera and ballet performances. Maestro Roman Moiseyev pays special attention to the creative works of composer-romanticists.